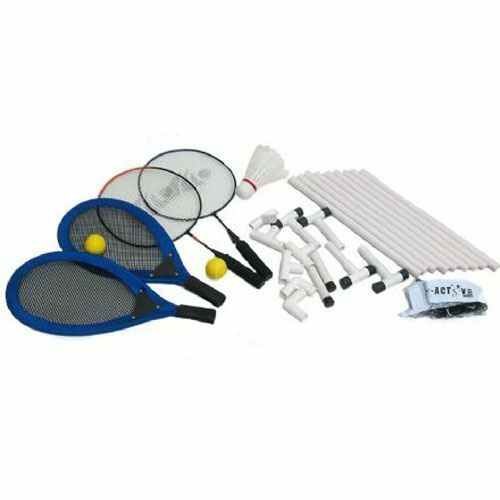 The Riley Active Giant Tennis And Badminton Set includes everything you need to set up a quick game wherever you may be in the summer. The oversized set is great fun for all the family, and perfect for at home, on holiday, or pretty much anywhere you want to play. for submitting product review about Riley Active Giant Tennis And Badminton Set.